Historically, the production of avocados in California required little usage of insecticides. Avocado pests were kept under commercially acceptable control by a variety of beneficial organisms. 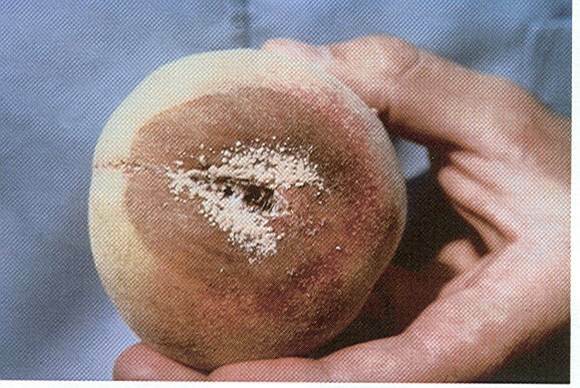 This situation changed in 1996 with the appearance of avocado thrips which feed on the surface of the fruit. 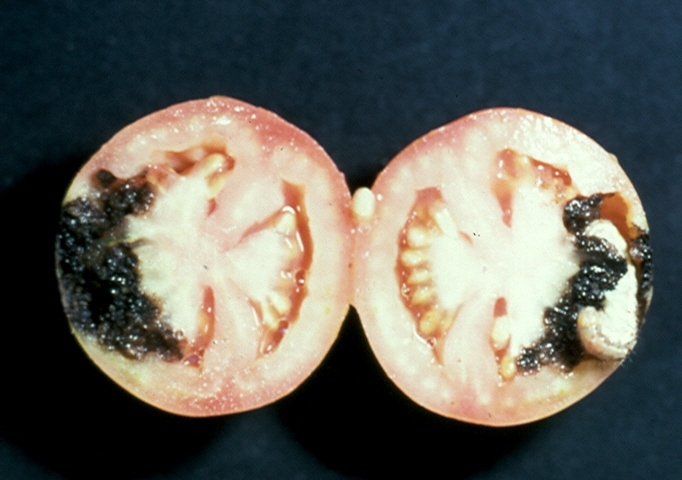 Feeding scars develop while the flesh of the fruit is a healthy green. 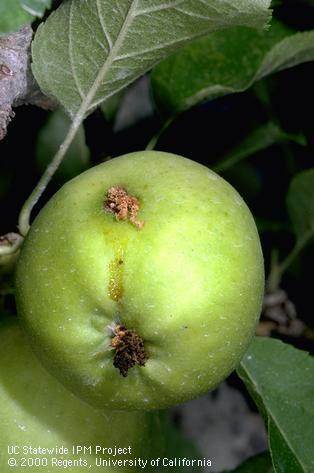 Even partial fruit scarring results in downgrading of fruit in packinghouses because of cosmetic damage unacceptable to consumers . “The California avocado industry is under increasing threat from the introduction of arthropod pests. 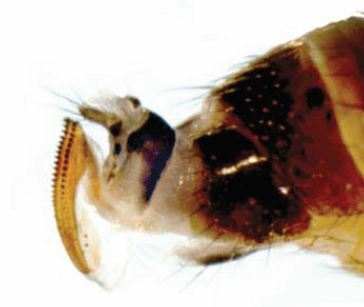 The avocado thrips, was first detected in California avocado groves in June 1996, and it has since spread to most of the major production areas within the state where it has become the primary insect pest. 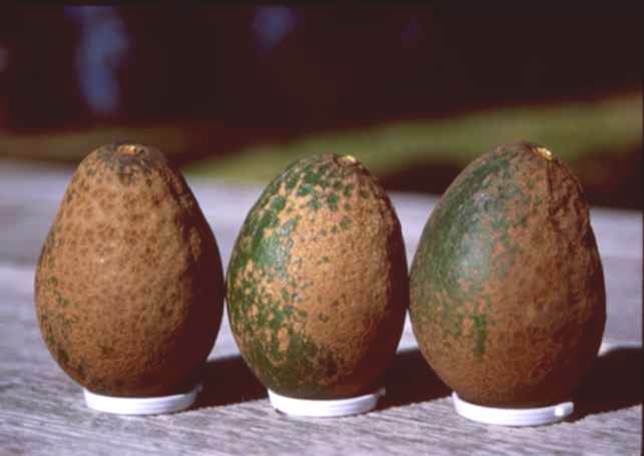 The main source of economic loss arises from feeding damage that causes scarring of immature fruit, leading to a reduction in fruit quality at harvest. Author: Byrne, F. J., et al. Title: Field evaluation of systemic imidacloprid for the management of avocado thrips and avocado lace bug in California avocado groves. Source: Pest Management Science. 2010. 66:1129-1136. The invasive spotted wing drosophila fly came into the US from Asia in 2008 and has spread throughout the US. The fly prefers softer, sweeter ripe fruit- cherries, raspberries, blueberries,blackberries and strawberries. The female flies use saw-like blades on their abdomens to cut through the skin of ripe fruit and lay their eggs inside. The eggs hatch into worms that feed on the flesh of the fruit – ruining the fruit for sale. Insecticides are currently the only option for drosophila control and growers throughout the US are being advised to spray. “The spotted wing drosophila, a tiny fly that can take a big bite of orchards and gardens, has gradually been making its way across the country from the West Coast and has discovered the summer bounty in the Granite State is much to its liking, according to Dr. Alan Eaton, an entomologist with the University of New Hampshire. Publication: Pesticides in the Diets of Infants and Children. 1993. National Academy Press, Washington, DC.